The right communications solutions for your healthcare facility should provide options for communications with individuals, in a specific department or interdepartmental communications to coordinate multiple aspects of treatment. Aerowave Technologies understands the complexities of providing an effective communications solution for large campuses, like medical centers and long-term care facilities. We offer a wide range of products and services designed to fit the responsibilities of the people who work for you. There’re smaller, more agile radios for nurses and dietary workers along with more rugged and durable radios for security personnel and maintenance staff. We also offer radios that have extended battery life designed to work long shifts which means you don’t need to worry about losing access to communication at critical moments. Our relationship with Motorola allows us to offer MotoTRBO Digital Radios designed to work in all the conditions and situations staff members in a healthcare facility encounter. 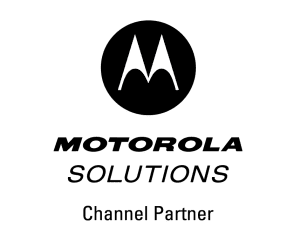 In addition to our selection of versatile Motorola radio products, we also offer campus wide coverage, so you never need to worry about dead zones impacting communications whether it’s routine or a life and death situation. Aerowave Technologies offers total communications solutions for your entire campus through inbuilding amplifiers (BDAs) and Distributed Antenna Systems (DASs) and engineer an effective communications solution for your campus. At Aerowave Technologies, we understand the unique challenges healthcare workers face. Whether your goal is to safeguard at-risk patients, prevent the spread of contagious diseases, or provide security for the patients and staff who trust your hospital to deliver care, we have your communications needs covered. Contact us today to learn more about our unique, completely customizable communications solutions to help you improve productivity, patient care, and profitability.